6 SEPARATE, YET AFFILIATED ORGANIZATIONS. MEMBERSHIP IS A GREAT WAY TO INCREASE NETWORKING, INCREASE YOUR QUALIFICATIONS AND SHOW THE PUBLIC, YOU ARE A QUALIFIED PROFESSIONAL. 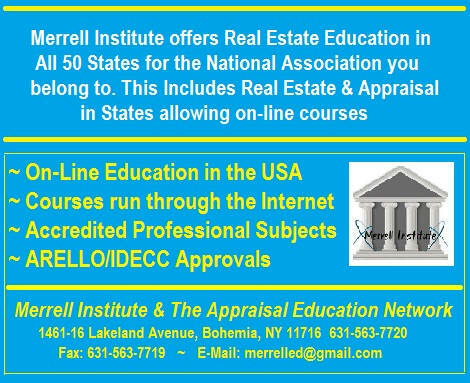 TO LEARN HOW TO QUALIFY FOR A NATIONAL ACCREDITED DESIGNATION, SEND YOUR RESUME AND APPLICATION TO THE EDUCATION DIRECTOR, BILL C. MERRELL, Ph.D. The Housing Inspection Foundation awards this designation to recent graduates through our recognized educational institutions. Once a graduate receives his or her certificate of completion to become a Home Inspector, the RHI designation is added to their name and contact information is listed in our online database so that prospective clients can confirm their expertise. A Certified Home Inspector must possess the formal education, three or more years or work experience and the necessary State or Regional requirements to perform home inspections. Clients hiring CHI’s can rest assured that the inspection will be thorough and performed by a knowledgeable and highly capable professional. This designation is reserved for those professionals able to advise clients on all matters pertaining to home inspections. They may also manage the repair or restoration of any issues found during the property inspection. This certification is a hybrid state-of-the-art distinction and is reserved for those professionals who possess the traditional residential home inspection experience and are qualified to perform energy audits, inspections and indoor air quality testing and reporting. These CEHI’s provide many inspections that are important to all the stakeholders in a residential or commercial structure. This designation applies to real estate professionals whose primary area of expertise involves property management. This designation applies to real estate professionals involved with finance, development and investment. A primary objective of IREI is to provide a global network of reliable contacts for its members. As an RIM, your contact information will go into our international database - enabling you to contact other professionals while allowing potential customers to contact you.